Today, Year 6 have visited Robin Hood's Bay and Whitby. 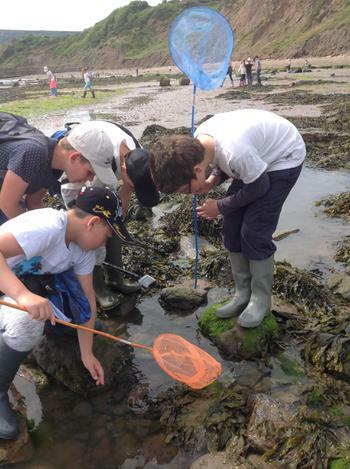 Once the bus dropped us off in RHB, we searched the main town for clues to its smuggling past and looked out for noticeable features that may be referred to in the lantern show... then we used nets to find animals in rock pools on the beach. A quick bus ride and lunch later saw us in Whitby, where we all enjoyed shopping for gifts, a delicious ice cream (safely away from seagulls! ), a trip out to sea on the Endeavour (where some of us got sprayed with water) and fun on the go karts and bumper boats. Tonight's entertainment is the famous disco or the magic lantern show!